Buying a new set of darts requires many considerations. Choosing a set of flights on the other hand generally does not. I know many of players who are content with to use whatever they have on hand. This is a shame because there is a lot more to a dart flight than a fake plastic feather on the back of your dart. So what dart flight should you buy? You need to buy a dart flight that is right for your throwing . Flights come in many different shapes, sizes, and materials that all contribute to how the dart will fly when thrown. The right dart flight can not only improve your throw and consistency, but its look can also be a reflection of who you are. I’ve taken the time to prepare this guide for you. I am here to help make your life a bit easier and answer all the questions you might have regarding one of the game’s often overlooked questions. Which type of flight should I get for my darts? 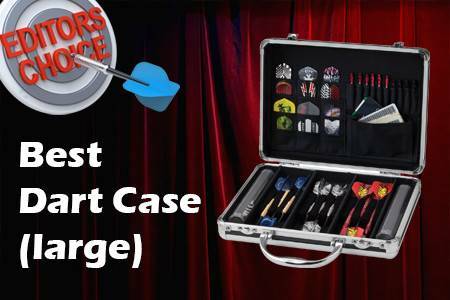 Welcome to the definitive Dart Flight Buying Guide! What Is A Dart Flight? 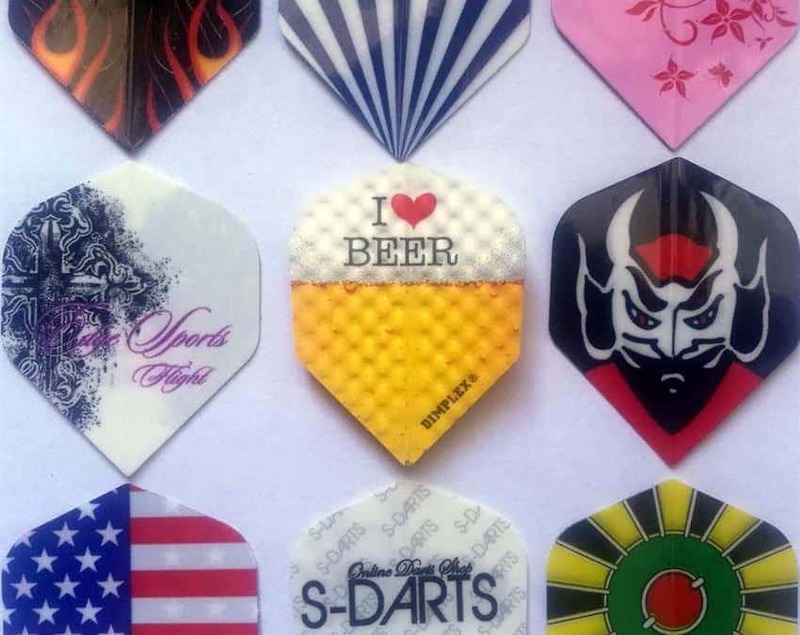 What are dart flights made of? What is a Dart flight protector? Wet-behind-the-ears newcomers who have never picked up a dart in their life and are looking for guidance on where to start. Avid amateurs who spend regular time playing on their local weekly league and are looking to elevate their game skills to the next level. It will be divided into clear and concise chunks so that you can skip ahead to the pertinent section if you have a specific question in mind. Let us begin with an overview of the game and dig deeper into why such an insignificant component of your dart, can have such a drastic and immediate impact on your game. When you decide to pick up a set of darts for the first time, there is not much you have to concern yourself with. There are plenty of pre-packaged beginners dart kits on the market, and these are usually more than enough to get you started. 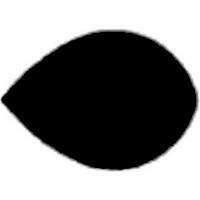 However, this simplicity lies exclusively on the surface. 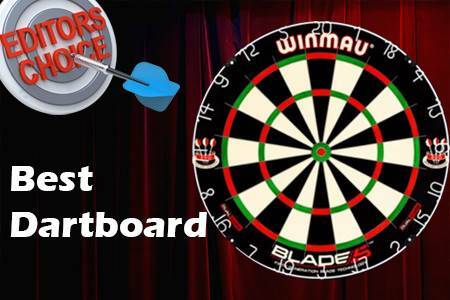 Deep down, the game of darts is a complex and strategic behemoth. 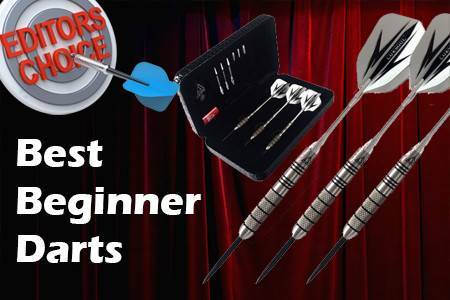 Our recommend BEST DARTS FOR BEGINNERS kit comes with 3 different flight shapes. The skill gap between a beginner and a veteran of the pro circuit is due in part to the degree with which pro players immerse themselves in the game. These guys consider the implications of every single decision they make, including but not limited to: the way they place their feet relative to the oche, the way they flick their wrists when they throw a dart, and even when during their throwing action they should breathe. Most important of all though is the fact that they scrutinize and analyze every component that makes up their darts in order to maximize their accuracy and precision. Let’s take a quick review of the various components that make up a regulation dart in the hopes of elucidating a bit about why the flight is such an essential part of the game. Any dart, no matter who it’s manufacturer is, can be broken down into four constituent components. These are the tip, the barrel, the shaft, and of course the flight. Each piece or element carries out a particular function, and each one has the potential to affect the dart’s path through the air fundamentally. There are hundreds, if not thousands, of options on the market for each one of these components. Therefore, there exists an intricate interplay between these four variables, and it has a profound and immediate influence on a player’s accuracy, precision, consistency, and overall skill. Fundamentally understanding how each element affects the way your dart moves through the air is a big step towards becoming a better player. Besides the tip of the dart, it is the flight which receives the least bit of thought and consideration from most players. The reason for this is something that I’ve yet to figure out; however, I can assure you that the flight of a dart is an impactful variable. A dart flight is the small aerodynamic fins at the back of a dart. The primary purpose of a flight is to provide stability for the dart when thrown. Dart flights are usually made of plastic or nylon and come in many shapes and sizes, each having a different effect on your throw. If you are brand new to the sport and have no idea what I am talking about, I want you to imagine a traditional fletched arrow of the type Robin Hood used to shoot. The bit at the end, traditionally made out of three matched half-feathers, has come a long way since the days of Robin’s Sherwood Forest and Nottinghamshire shenanigans. Darts, being direct descendants of the traditional martial arrow, possess flights that are similar in purpose and function, and thus, these flights provide some much needed aerodynamic stabilization. Variations such as shape, size, and texture, are incredibly influential to the action of getting a dart to accurately and consistently land where you want it. Fast flights tend to be longer than slower flights and typically have a reduced surface area; this results in increased airspeed due to a more efficient aerodynamic profile. In other words, fast flights cut through the air more aggressively than their slower counterparts. Players with hard throws generally prefer faster flights and work exceptionally well with shorter barrels models and shorter shaft lengths. Flights that possess larger surface areas and have shorter overall lengths are typically considered Slow Flights. The slower speeds attained by these flights result in more open, arching trajectories, which make slow flights perfect for players that have more controlled throws. Between these two opposite ends of the spectrum, you find an obscene number of options. Manufacturers currently fabricate flights of varying lengths and sizes; in fact, hundreds of combinations of various shapes and designs are readily available for your consideration. Helping you find a flight that best suits your specific needs and personal preferences is our goal. Let us discuss, a bit more in depth, the different variables that affect flight performance so that you can better assess which type of flight best works for you. It is the interplay between these characteristics that give each flight its own unique identity. For example, a smooth Kite-shaped flight made of Nylon will behave much different than a dimpled Fan Tail-shaped flight made of hard plastic. 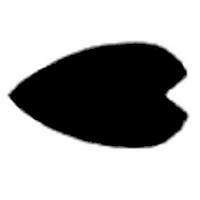 The size of your flight is directly related to the surface area of the fin. Remember that, just like it happens around the wings of an airplane, surface area increases air drag. So, the larger the flight, the more pronounced the resistance through the air, which translates directly to a slower, more parabolic path. If you are brave, flight size, and thus its surface area, can be fine-tuned with a bit of trimming. Most new flights are made with materials that facilitate minute shaping to maximize your throwing potential. The shape of your flight is perhaps the most influential factor to consider; it is also the most varied. Some shapes are more popular than others but because there are dozens of shapes available on the market I recommend you try them out yourself. Standard Dart Flights: There is the standard flight which offers a decent parabolic trajectory and longer flight time. 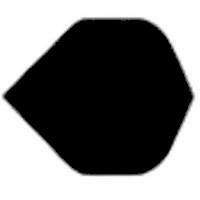 Standard shape is standard for a good reason. It provides beginners and veterans alike a balanced mix of lift and stability. Standard is best suited for heavier darts, but with a bit of practice, you can make it work with a variety of barrels and shafts. Quick note, there is a Standard variant called the No. 6 Shape. No. 6 is a smaller version of the standard flight but offers similar qualities while providing a bit more speed. Slim Dart Flights: Next, we find the second most popular flight shape: The Slim. Slim flights are more elongated with a sharp taper towards the base of the shaft. These are ideal for players who prefer using lighter darts such as those with ultra-light tungsten barrels. These are also very good for people who like to throw hard and place great emphasis on precision over accuracy. Finally, Slims offer a bit of extra protection against wear and tear from the friction caused by tight groupings. Although to be fair, the materials used by most modern manufacturers are solid, and most flights can last a long time. Kite Dart Flights: Another favorite flight shape is the Kite. 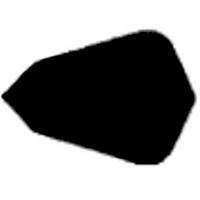 The Kite flight looks sort of like a flattened spearhead, which provides it with a significant surface area but keeps its length relatively short. Kite flights offer a middle ground for players who need a bit of extra lift but still like to maintain a high degree of control. Pear Dart Flights: The pear flight is a slight variation of the Kite with the main difference being that the pear has a rounded edge, as opposed to the Kite’s deep angles. Pear flights tend to be slightly faster than Kites yet maintain a clear and distinct parabola during their travel to the board. Fantail Dart Flights: The Fantail flight, also known as the Lantern by some, is a slightly elongated version of the Kite. 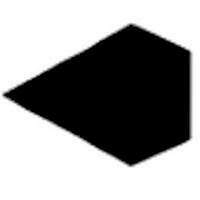 It keeps the sharp angles, and thus, maintains the same profile through the air. The Fantail has a slightly smaller surface area which makes it a tad bit faster. Vortex Dart Flights: The Vortex flight looks like a long teardrop with a shallow wedge cut out. Vortex flights provide some of the most significant surface area ratios of the bunch and thus function perfectly for slow, controlled throws. Vortex flights are the most similar in looks and function to traditional arrow fletching. 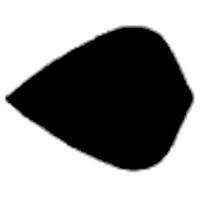 Combat Dart Flights: Combat flights have a distinct diamond shape with sharp angles that significantly reduce the total surface area. More precise than even the Fantail, these are great for both soft-tip and steel-tip players and enable players to throw aggressively without fear of losing much in the way of precision. These aren’t the only available shapes, just some of the most popular. More exotic shapes include the fancy V-Wing which has an airplane like profile, the whimsical Heart shape, the gigantic Max Air, the Vortex-like Vector, and the egg-shaped Axis. Each of these geometric wonders offers players with slight variations of speed, flight time, and precision. A general rule of thumb to keep in mind is that if you are looking for a flight to aid your accuracy, you will generally want to go with slower flights that have a larger surface area. On the other hand, for precision shots that require force and speed, you will want to opt for smaller flights with sharper angles. Let’s talk material for a bit. Modern dart flights, even the cheapest ones, are made out of high-grade materials; which is fantastic. Dart flights are made of different materials such as plastic polymers (hard and soft), nylon, and hard foil. The material used in your dart flight will affect the trajectory of your dart as it affects both the weight and thickness which influence the drag and lift on your dart. Hard Plastic Polymers: These flights are manufactured by heat sealing extra-thin layers of plastic polymers. These flights tend to be stiff and relatively durable; however, the moment they rip (and eventually they will), you can say goodbye to them forever since hard plastic polymers cannot be easily repaired. They do offer the advantage of allowing tight clustering because they tend to slide past each other with relative ease. Soft Plastic Polymers: These flights are made out flexible plastic layers, similar to the hard polymers but significantly less brittle. Soft plastic polymers tear or bend more easily than those harder versions. The soft plastic also allows you to smooth out or heal and small dents or imperfections that may occur. Nylon: Nylon flights are pretty popular and for a good reason. The use of Ripstop nylon makes possible some of the most durable dart flights on the market. Nylon flights tend to be rather stiff because of the interwoven reinforcement fibers that are added to the fabric. Some flights are now produced which have been embossed with an intricate pattern of tiny dimples across the entire surface. Dimpled flights tend to be a bit stiffer. The dimples significantly increase the surface area, thus providing additional drag without having to make the flight any bigger. If you use lighter barrels or shafts, using dimpled flights will force you to throw harder since the dimpling tends to drop the dart earlier. Heavy barrel users will probably benefit the most since the dimples provide a stabilizing force and eliminate the characteristic wobbles of slower trajectories. The dart flight is easel of your dart. They come in all colors, designs, characters, phrases and more. The actual design on your flight serves no purpose; it allows you to give your darts some personality. You can use them to share with the world who you are or what type of darter you are. You can get your favorite sports team, a happy face, flames of just plain, the choices really are endless, and if you still can’t find what you are looking for, you can even design your own. Once you have thrown your dart into the board, the flight is the closest part of the dart to you. When you throw your next dart, there is a good chance you may hit the dart that is already in the board, and the flight will take the brunt of that collision. The plastic flight is no match for the pointed steel tip of a dart. Over time your flight will start to get beat up on the end and will need to be replaced. The damage a flight incurs can be offset with a flight protector. A dart flight protector is a small metal cap that attaches to the back of your dart to prevent damage to the flight. 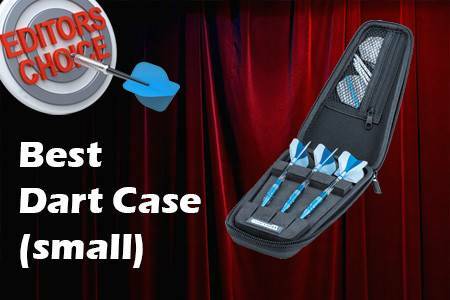 Most protectors are slightly rounded in a way that it will protect the flight while allowing incoming darts to slide by and into the dartboard. Because the slots on a flight protector are perfectly aligned, they also help to keep your dart flights straight. 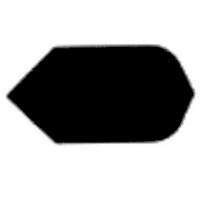 If you look down the back of a dart flight that has a protector, you will see it always has a perfect cross shape. Flights are important. There is no denying that the influence that the different types of dart flights can have on your throw is quite significant. The market is filled with many options so choosing one flight from the rest can seem daunting. However, you’ve learned enough about the various characteristics; I am confident in your ability to do so. Remember that the wrong type of flight can mess with your accuracy and precision. On the other hand, the right flight can elevate your game and push you to the next level. I recommend that you think long and hard about the type of player that you are and use that plus the information on this guide to find a starting point. If you are brand new to the sport, merely play as much as you possibly can with as many varieties of flight, barrel, and shaft combinations. One thing is for sure, there is a perfect flight out there, and it is waiting for you. Hi, I’m Shaun. I’m the guy behind Dart Help. I have been playing darts for a few years now and have picked up a wealth of knowledge along the way. There are now 3 darters in my home and we can’t get enough. 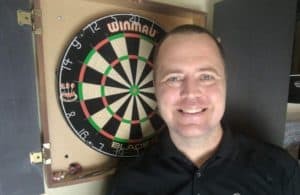 I created this site for fun and hope that it becomes a go-to resource to help people learn more about the wonderful game of darts.